Hyaluronic Acid Fillers are injections that address facial volume loss. Lip filler injections are most commonly used to restore volume in deflated, dehydrated lips. Facial volume loss is part of life — our skin changes as a result of age and lifestyle choices. It becomes thinner, loses fat, and no longer looks as plump and smooth as it once did. Facial aging actually begins in your 20s, when skin firmness begins to decrease as a result of both internal (genetics and natural aging) and external (sun exposure, smoking, stress, exercise, etc.) factors. Hyaluronic acid is a natural component of our skin that gives us volume and elasticity. In the past, facial volume loss was replaced with other materials like silicone and collagen, but these materials often caused severe problems. Today we use hyaluronic acid fillers. These fillers are made specifically in a lab to be a safe replacement of what was already there. 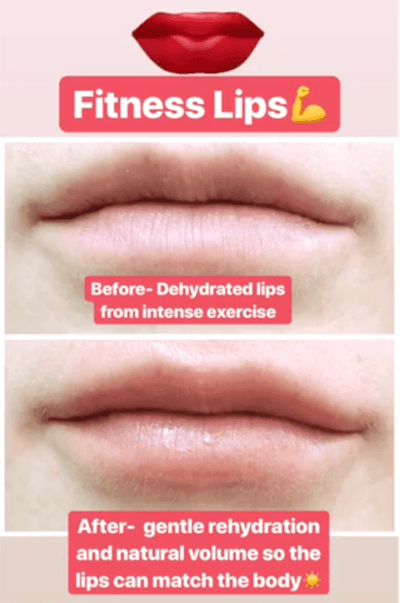 How Do Lip Fillers Help with Facial Volume Loss and Thin Lips? Hyaluronic Acid Fillers are widely accepted as they mimic what already occurs naturally throughout our bodies. There are numerous types of fillers on the market today with the main difference being the molecular size of the product. Although the chemical make-up is very similar, we will frequently use larger molecule products for deep injections where we are attempting to replace lost volume and create a stronger foundation to the skin, and smaller molecule products in areas such as the tear trough region, acne scars or fine wrinkles around the mouth where we need a finer more precise result. Hyaluronic Acid Fillers not only reflate tissue, but also energize collagen giving more natural volume to sunken areas. Over time, patients often require less filler as collagen has been re-established to create a natural, fresh appearance once again. Hyaluronic acid fillers will naturally be absorbed through your body’s own natural process over a period of 9-12 months. However, in some areas where the filler literally stretches and changes the shape of the underlying tissue, such as nose reshaping and acne scars; the results may last much longer. 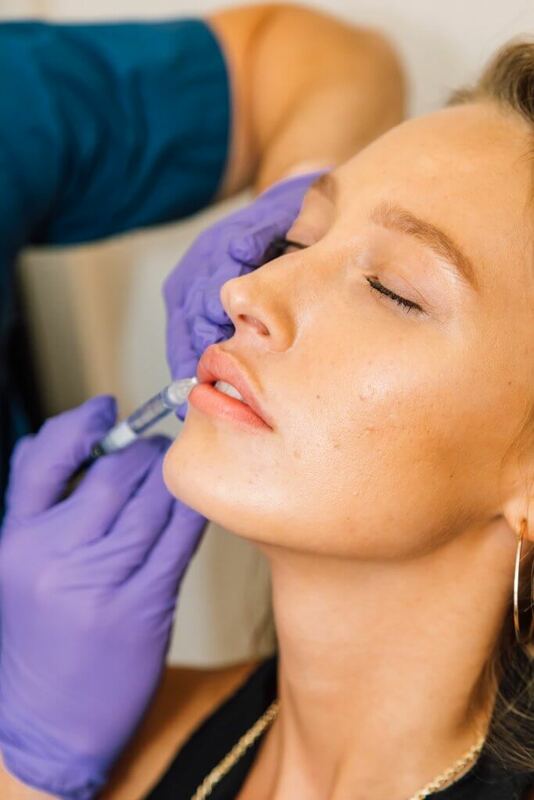 As with any other form of cosmetic surgery, when performing filler injections, Dr. Neinstein’s goal is to augment lips with soft, beautiful, and natural results. We are not aiming for overly plump looks to give an odd or overly dramatic look. The filler injection procedures takes about 30 minutes in the office. Neinstien Plastic Surgery offers two forms of numbing to ensure patients are completely comfortable. The procedure starts with numbing the skin and we then use fillers that have built in lidocaine or numbing medication. After the procedure, Dr. Neinstein asks that patients wait one day before returning to exercise. There will be some swelling (rarely bruising) and the filler should fully integrate in a week. While our practice has access to all of the different fillers available, Dr. Neinstein’s favorites have been the Restylane family of fillers. Restylane has a one of the longest track records and Dr. Neinstein is very comfortable with the safety and predictability of their products. Refyne, a new filler by Restylane, is designed with XpresHAn Technology to help soften laugh lines (nasolabial folds and marionette lines) and augment lips and cheeks. This product is unique in that the gel molds/bends more than the others. Dr. Neinstein particularly likes this product for individuals that exercise a lot, since it is not a thick, dense product. The faces of patients who live an active lifestyle typically move more aggressively and often than the average person, so the filler of choice should match the movement. It is our goal to price lip filler injections to ensure the procedure is within reach for any patient. In our NYC office, our lip fillers cost is typically $700-$800. If you have any questions, or are ready to schedule your lip filler appointment with Dr. Neinstein, please contact us at your convenience. You can see more lip filler before and after photos in our gallery.